At this week's World Innovation Summit for Health in Doha, Qatar experts from around the world sat down to talk about the opportunities and challenges of employing digital health in the mental health field. Globally more and more health professionals are stressing the importance of mental health services, but getting patients those services can be tricky. The shortage of trained professionals and the stigma of mental illness in many countries around the world have often created a barrier to treatment. But recently technology has come into play to tackle some of these challenges. But the international mental health community is now turning to digital health as a way to overcome the major obstacles of resources and stigma in many countries. It’s no secret that globally the mental health sector is facing a dearth of both trained professionals and financing, with the World Health Organization reporting that on average only 1 to 6 percent of health budgets are spent on mental health. But some are working on technologies to address this chasm. For example, Trust Circle, a digital mental health startup, is teaming up with local governments and charities to screen young people for signs of potential mental illnesses. While the platform has multiple products, the point of entry is a mental health screening tool. The idea is for this tool to be given to students ages 15 to 24, similar to how schools administer physical wellness assessments. The startup has been working with WHO to deploy the technology in southern India, with the main goal of early intervention and prevention. The platform is designed to work with local entities to adapt the technology for their population and also gives the organization—whether that be a government or a nonprofit—aggregated anonymous data about the population. The tool can also give users the option to give their information to whichever organization is working with Trust Circle in this area—which in some cases could bring them to one of Trust Circle’s other tools that connect users to therapists. Another topic that has been commonly discussed in the space is bringing more community partners into mental health and not leaving all responsibilities up to specialized therapists. Sachin said that Trust Circle is employing technology to help facilitate this and, in turn, to expand the access to care. Meanwhile, Hornby, over at Mental Health Innovations, is looking to use folks who are trained but not necessarily mental health professionals as a way to help people get to the resources they need. While the industry is focusing on how technology could help alleviate the burden on the workforce, some in the field are also examining how it could be used to help people facing stigma. “Perhaps the greatest challenge that this issue leads to is that stigma that has for such a long time persisted. People who are afraid to speak out and reach out, afraid to even admit to themselves that a mental health problem is developing,” Paul Farmer, chief executive of Mind, a UK-based mental health charity, said during one of the WISH panels. Providing avenues for people to seek help and get treatment is key, according to Lord Darzi, but that can come in many forms including virtual. 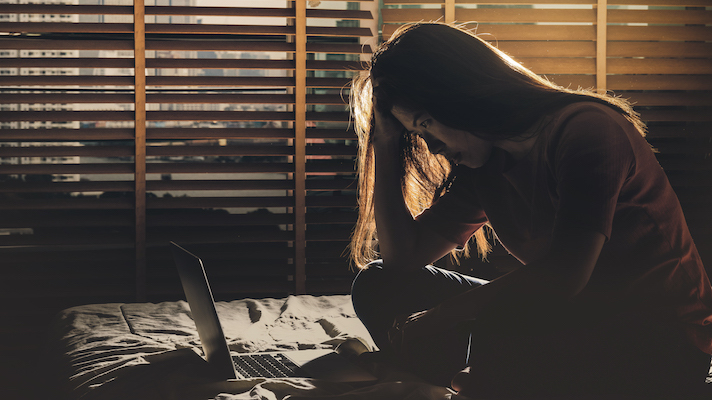 While most health professionals agree that in-person therapy should be the ultimate goal for treating individuals with mental health conditions, many are looking to online tools to kick off the conversation. Hornby said that when developing the idea of Mental Health Innovations, which is a spin out of the Duke and Duchess of Cambridge’s Heads Together campaign, the team looked at where and to whom young people were most comfortable talking. “There is a recent report in the UK that says over 65 percent of 18- to 24-year-olds would prefer to seek help online and would actively prefer to seek help online [as opposed] to family, friends and a therapist—at least in the beginning of their journey. We know [online] is where they start. So we need to meet people where they are,” Hornby said. But it isn’t just young people that are turning more and more to digital resources. Dr. Neil Leibowitz, chief medical officer of Talkspace, a platform that offers therapy sessions via the web and mobile devices, said virtual therapy has been particularly effective in certain other demographics and treatment groups. But many point out the online resources also offer a confidence to clients and patients that they may not have had otherwise. Michael Phelps, a retired professional swimmer best known for being the most decorated Olympic athlete of all time, has publicly discussed his challenges living with depression. Phelps, who has since become a spokesperson for Talkspace, said that while he first accessed in-person tools, digital options provide folks with busy lives an alternative form of care. While the industry continues to move in a digital direction, many are asking questions about both the safety and legitimacy of the online space. That’s why many are pushing for validation and research. Leibowitz said that his organization has worked with partners to validate Talkspace and said that in the future he would like to see smaller grants available to organizations for the purpose of helping young startups research and test their tools. But the digital realm also provides unique opportunities. For example, Dr. Sadriya al-Kohji, head of child and adolescent health service development and health promotion at the Primary Health Care Corporation in Qatar, said that digital has the potential to provide quality assurance of online treatment. “I cannot go to the clinic and take a video saying how the physician is dealing with the adolescent, but the online one I can record for the purpose of evaluation,” al-Kohji said during a panel at WISH. On the patient side, digital platforms often let patients look through previous treatments and access support tools. Although there are still questions about what digital mental health tools will look like in the future, the need for the tools continues to push the industry forward. Editor's note: This story is part of our coverage of World Innovation Summit for Health. WISH invited MobiHealthNews to the event and paid for travel and accomodations. As always, MobiHealthNews maintains its editorial independence and made no promises to WISH, including about the content or quantity of coverage.